Do you have the Street Tech App? 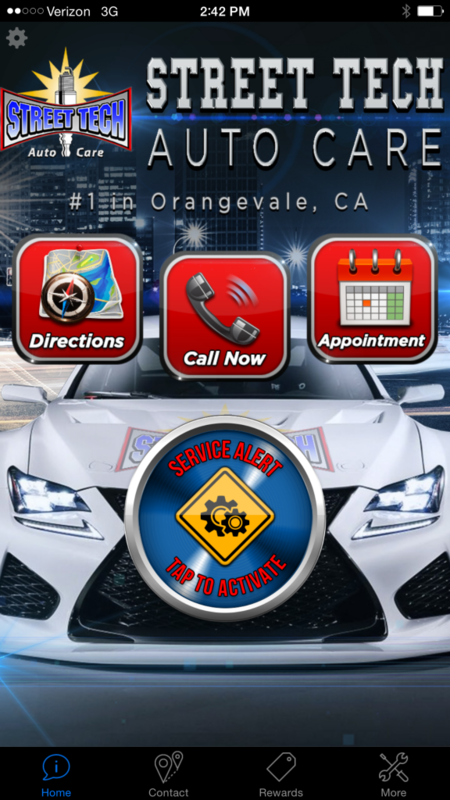 How many mechanics do you know that have their very own app for Android and iPhone? Well, you know at least one... Street Tech!Using the Street Tech app you can.... Request an Appointment Keep Track of Scheduled Maintenance on your vehicle Get great deals and find coupons. Get your 7th oil change free! Check out your Kelly Blue Book value. Find Safety Tips and Car Care Tips Use our Engine Recorder and Part Cam! (You know you want to!) There is even a Street Tech game!